The Russian navy fired on two Ukrainian naval vessels and rammed a third off the coast of Crimea on Sunday. The Russian navy also took 23 Ukrainian sailors into custody, six of whom were wounded. The Ukrainian naval vessels were two Gurza-M class artillery boats, the Nikopol and Berdiansk, and one tugboat, the Yani Kapu. Russia captured three Ukrainian naval vessels and its crews on Sunday off the coast of Crimea. 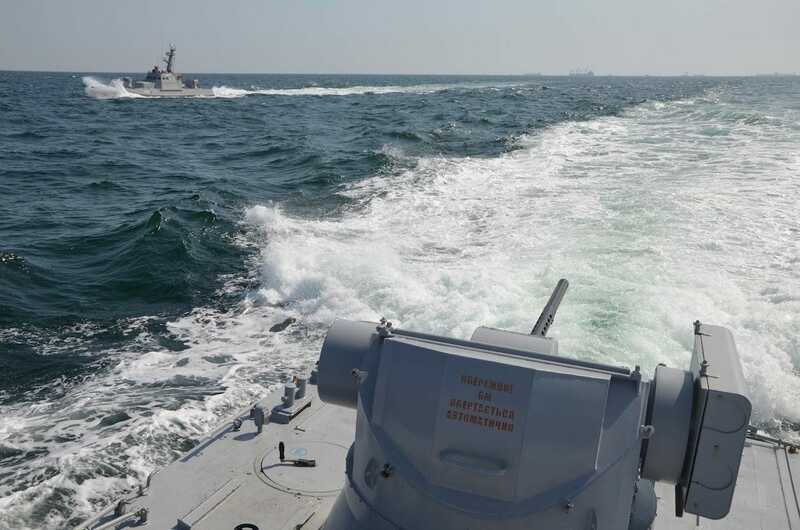 The Russian navy fired on two of the Ukrainian naval vessels and rammed a third in the Kerch Strait, which connects the Sea of Azov and Black Sea. Six of the 23 Ukrainian sailors on board that Russian officials now have in custody were wounded in the incident. The Ukrainian vessels involved in the incident tried to pass through the strait and had given notice to the Russians, according to The Associated Press. Russian officials said the Ukrainian sailors were given warning to turn back before it opened fire, according to the Russian-government funded RT. Russia has steadily increased its control around the Crimean peninsula, which it annexed in 2014. Here’s what we know about them. Designed by the Ukrainian Defence Ministry, and first laid down in 2012, Gurza-M class artillery boats are made to patrol harbours, rivers, lakes, territorial waters, and more. They’re also manned by a crew of five sailors and are about 75 feet long. Gurza-M class ships are equipped with four 30mm automatic grenade launchers (two on the bow and two on the stern), as well as one 30mm ZTM-1 automatic gun, one 7.62mm machine gun, and one laser-guided man-portable air-defence system. They’re also fitted with two Barrier anti-tank guided missile systems that can hit targets 328 feet to 16,404 feet away. Ukrainian Defence MinistryA view of the Nikopol from another Gurza-M class boat during a drill in the Black Sea on September 29, 2018. Ukraine says it did not fire back at the Russian vessels during the incident. And here’s a shot of the Yani Kapu, next to the Nikopol and Berdiansk, on Monday. The tugboat was escorting the two artillery boats from Odessa on the Black Sea to the port city of Mariupol on the Sea of Azoz via the Kerch Strait when the incident on Sunday occurred.